Her father’s advice is the focus of Sullivan’s widely read “This I Believe” essay, part of the collection assembled by National Public Radio between 2005-2009 when it rebooted the 1950s series hosted by Edward R. Murrow. Hundreds of similar essays, written by famous artists, scientists, educators, athletes and politicians as well as by unknown people who responded to the invitation to compose an essay, can be accessed through the This I Believe website. It is a treasure trove for short readings that can be used to prompt discussion about life, meaning, and purpose. Asking students to write their own “This I Believe” essay (and then to share them aloud with their classmates) can be a very effective exercise. It’s especially powerful when the professor shares his or her own essay. Sullivan’s essay stands out within the collection for its pithy, straight-forward advice. Writer Margot Patterson revisited Sullivan’s memorable essay in her own reflections about funerals, and why it is important to attend. But Patterson makes a slight yet significant amendment to Sullivan’s father’s advice, who had emphasized that it was important to support those who are grieving. People’s lives testify to their beliefs as much or more than their words. Their habits paint a picture of what they really put stock in: friendship or an ideal of excellence or security or wealth or whatever it is that animates them. Hearing a eulogy at a funeral nudges me into thinking about my own conduct. It is a lesson in life, one bigger than I will ever fully grasp. I experienced this a few years ago at the funeral of Stafford Weeks, a beloved member of the Monmouth community. Stafford came to Monmouth in 1959, serving as both a faculty member in religion and the college chaplain for many years. He also completed two terms as Dean of the College, and continued to be admired and respected through it all. He had retired by the time I arrived in 2001, but he made a point of attending presentations I gave on campus and always had encouraging words and helpful insights for me (about the college, about the field of religious studies, about his various experiences traveling in Japan, etc.). I learned a great deal from him through those conversations and by his example. As the campus was growing and the Department of Philosophy and Religion had to relocate from the basement of Wallace Hall to an old Victorian house on the perimeter of campus, it was quite meaningful to the department when the powers that be decided to name the house after Stafford. The “Weeks House” continues to be home for the Department as well as the Chaplain’s office, and is the gathering place for many student groups, “Meaning of Life” lunches, vocation retreats, etc. This past year it became the home for a campus food pantry. 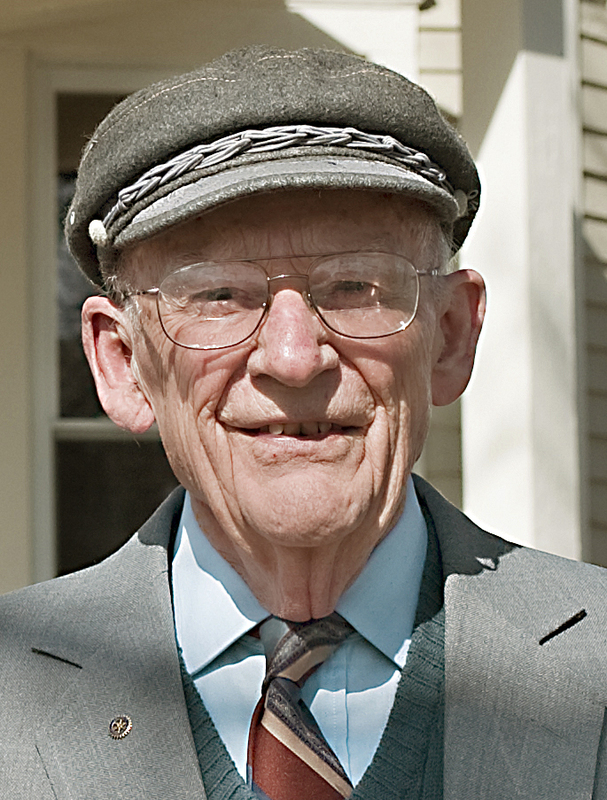 When Stafford passed away in 2009, at the distinguished age of 88, his family and the larger community gathered at the local Presbyterian church to remember and celebrate his life. His friends in the local Dixieland band played “Oh When the Saints Go Marching In,” setting an upbeat mood in the church. His daughters shared funny stories about their father, and we got to see a side of Stafford that many of us didn’t know. The various anecdotes filled in a picture of a gentle man, a stalwart citizen of the community and a wise soul who had a certain joi de vivre about him. Hadn’t he just been “cutting a rug” with his wife Winifred at the YMCA dance-a-thon? The take-away lesson, even for those who did not know the deceased, was to life live fully and faithfully. In an earlier post (“May Their Memory Be a Blessing”), I explored examples of eulogies of public figures whose lives capture our collective imagination (drawing upon the recent examples of Aretha Franklin, “The Queen of Soul,” and John McCain the “Maverick”). But the eulogies of our “local heroes” are more likely to have a direct, decidedly inspirational impact. This is both because they are mundane, more “like us,” but also because they are members of our communities. They remind us of what is possible in a life well lived and also what we collectively care about and who we want to be. Sullivan’s advice has stayed with me and I have tried to follow it, even when I was feeling lazy or otherwise ambivalent about attending a funeral or memorial service. Both Sullivan and Patterson are right about the reasons for attending a funeral, even for someone you didn’t know well. It is simple advice that we should pass along to young adults. Postscript: Stafford’s life was the focal point for a student research project in a civic engagement course called “Local Heroes” developed by Bridget Draxler (now at St. Olaf). It is part of a digital archive connected to the local historical society. Check it out – and feel free to email Bridget if you want to learn more about the course or the project. Hannah Schell was a professor in the Department of Philosophy and Religion at Monmouth College in Illinois from 2001-2018. She is the author of “Commitment and Community: The Virtue of Loyalty and Vocational Discernment” in At this Time and In This Place: Vocation and Higher Education, ed. David S. Cunningham (Oxford University Press, 2015). Currently the Online Community Coordinator, she is also a campus consultant for NetVUE. I remember sitting in a memorial service as a professor and wishing that all undergraduates would be able to attend this service for one of our “local heroes.” Without the sure knowledge of death, and the reminder of the cumulative impact of daily choices, we fall into patterns of denial, or at the very least, short-term thinking. A clear picture of a questing, counter-cultural-yet-compassionate life can inspire many for many years.